Enjoy $10 off $100, $20 off $150, $35 off $250 with coupon code applied at checkout in Jimmy Jazz. Exclusions apply, click "Redeem Now" to view more about the offer. 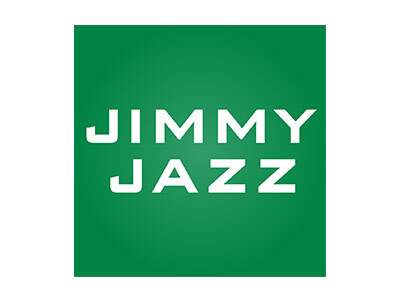 Save $10 off orders of $100+, $20 off $150+ & $35 off $250+ at Jimmy Jazz. Exclusions include Global Exclusion List, Limited Releases, All Nike and Jordan, etc. Click "Redeem Now" to view more details. Take additional 30% off all socks with code at Jimmy Jazz. Restrictions may apply. Click "Redeem Now" to view more promotions. Save $5 off any shipping method with the given coupon code at checkout in Jimmy Jazz. View more by pressing "Redeem Now". Take an extra 40% off select Adidas apparel for men with the coupon code applied at checkout on Jimmy Jazz. Restrictions may apply. Click "Redeem Now" to view the online site of Jimmy Jazz and see more about the discount. Use the coupon code when you check out to receive an extra 10% off sitewide with $7.95 flat rate or free 2-day shipping with ShopRunner at Jimmy Jazz. Restrictions may apply. Click "Redeem Now" to enter the online site of Jimmy Jazz and see more about the discount.